A wave of recent severe weather events and natural disasters has devastated communities across the globe, causing major loss of life, and leaving hundreds of thousands of people without basic needs like shelter and clean water. These tragedies are on the rise due to climate change, their impact intensified by pressures like population growth and coastal development. 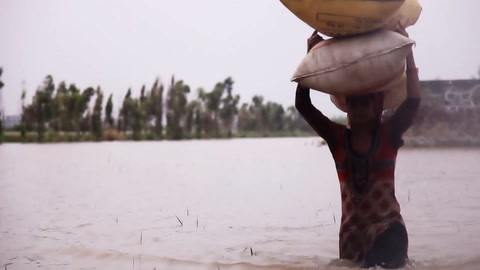 Many of the most destructive natural disasters involve water, either too much water in the wrong places, contamination or a lack of access to clean, safe water for survivors. It’s an urgent and growing challenge around the globe; in fact, research finds that the number of floods and other hydrological events has quadrupled since 1980 and doubled since 2004. Xylem is privileged to be a part of an industry where we pioneer innovative approaches and solutions that are not only core to our business, but also have a lasting impact on society. And we are humbled that we can leverage our expertise and offerings to help communities, when and where possible, meet severe water challenges – like lack of drinkable water and flooding – that can arise after disaster strikes. Our team of 17,000 colleagues is frequently involved in helping support recovery and relief efforts around the world, supporting local teams by deploying experts to disaster sites to provide water-related expertise, technology and equipment.Through our global corporate citizenship program, Watermark, we help provide boots on the grounds in the places that need them most, or raise funds or volunteer time to send critical food, clothing and sanitary supplies. For us, this work is about creating social value and an integral part of our shared commitment to solve water. Monsoon rains trapped a youth football team in a chamber for 18 days, deep within a flooded cave system in the Chiang Rai province of Thailand in July. Amid fears of rising water, dewatering the caves was critical to getting the team out alive. Our experts assisted the extraordinary efforts of the local authorities and first responders by reconfiguring the water pumps on-site to increase the dewatering flow rate by 40 percent. This helped lower water levels and ultimately supported the Thai Navy SEALs and international cave diving experts in reaching the 12 boys and their coach. Extreme rainfall caused a hydroelectric dam to collapse in the Attapeu Province of Laos, sending flash floods through downstream villages and displacing thousands of residents. In the aftermath, Xylem volunteers supported the efforts of the Lao Red Cross, by working with our NGO partner, Planet Water, to supply critical, clean, water to the local community, including local schools and a health center. The team built a series of water towers to filter, treat and store water for drinking. In addition, Xylem colleagues in Malaysia raised funds for humanitarian aid and donated additional clothing, food and cooking utensils for Laos dam collapse victims. A series of earthquakes struck the Indonesian island of Lombok, Indonesia this summer, killing and injuring hundreds and leaving hundreds of thousands homeless and without access to clean water. To supply clean drinking water to those displaced, Xylem employees, together with Planet Water, quickly deployed water filtration tower projects and an AquaPod clean water system for use by the thousands of people living in relocation camps. Severe monsoon rainfall resulted in the southern Indian state of Kerala experiencing its worst flood in 100 years in August, killing hundreds and displacing almost a million people. Our dewatering experts joined the teams on the ground and flew in high volume water pumps from Dubai. These powerful dewatering pumps operate independently of the power grid to help remove floodwater. They were installed on barges to dewater low-lying areas, aiding in recovery of flooded schools and fields. Local fundraising efforts provided water sanitation kits, food and other assistance to victims of the flooding. In September, Typhoon Mangkhut – the most powerful storm of the year – hit northern Luzon, the biggest island in the Philippines, causing catastrophic flooding and landslides. Xylem coordinated with the Red Cross and government authorities to offer support, including with our equipment and technical expertise. Xylem colleagues also organized a local drive to collect relief goods and cash donations. In North and South Carolina, U.S., Hurricane Florence caused historic rainfall and catastrophic flooding this fall, wiping out power for nearly 800,000 people in the area. In advance of the storm, the local commercial Xylem team deployed a series of dewatering pumps and equipment across North America to our customers to withstand the weather, protect critical infrastructure and enable a quicker recovery from the storm. As part of our humanitarian work, we were proud to support the emergency response efforts through our Watermark partnerships with Mercy Corps and Team Rubicon. Team Rubicon is a non-profit that unites the skills of military veterans and first responders. Following the hurricane, they spearheaded a campaign to send relief items, including lanterns and solar chargers, food and water, to those in greatest need of aid. A Xylem employee donation drive and a partnership with iHeart Radio in Atlanta to champion their call for bottled water donations were also central to our response. While the world’s water challenges are growing exponentially, so too are the opportunities to address and overcome them. That’s why we are focused every day on finding a smarter way forward to solve water and help communities in need. Working with our partners, we will continue to look for ways to leverage our people and solutions to help those impacted by water-related catastrophes. It’s one more way that Xylem is working to create economic and social value – it’s one more way we’re solving water.